Download this book and color! Quirky, Fun, Misfits will make you giggle and smile! I created this book because I love creepy and cute girls and wanted to share my twist on them. Your going to love this book! The cover was digitally Colored by Shawn Bobar!!!!! I love the colors. * This is not a physical book you will receive a file from Etsy. * Files are sent in PDF files. If you need a different type file please message me. * Over 30 pages of coloring fun! Plus the front and back colored covers. * Sorry no refunds on digital files. 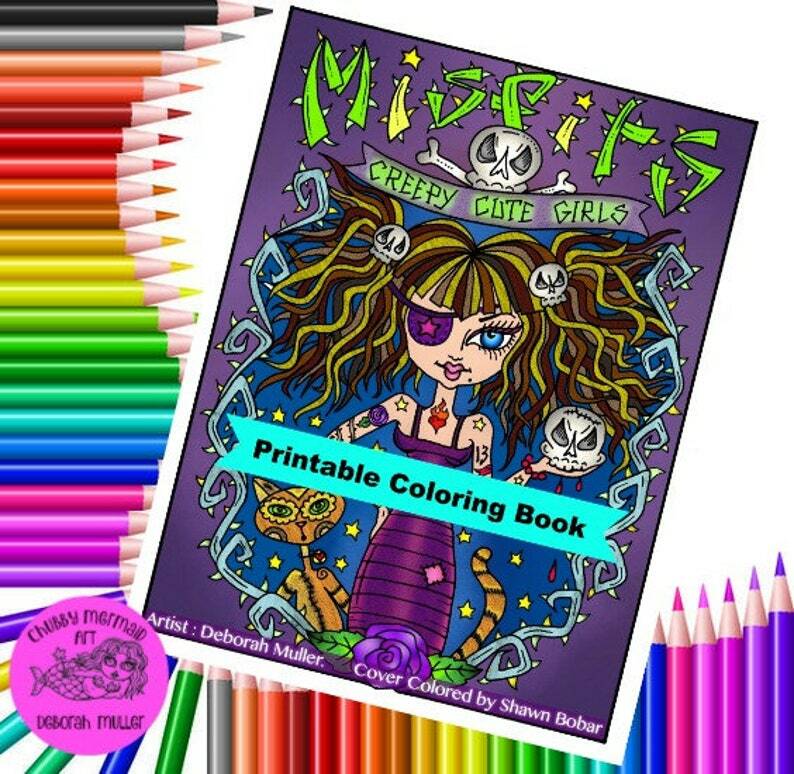 This unique coloring book is fun to give as a gift. All ages love coloring in this book, hang them up on the fridge or frame them when your done. Not your ordinary Coloring Book. This book appeals to all ages. Have fun and enjoy coloring in my magical world! I love this coloring book. This darling girls have a beauty all their own and they show that even though they are different it doesn't mean they are less attractive. Their differences are what make them beautiful. Love chubby mermaids drawing like usual always full of surprises thanks!